Heerengracht Guest House is an upmarket, affordable guest house for both holiday makers and business executives. 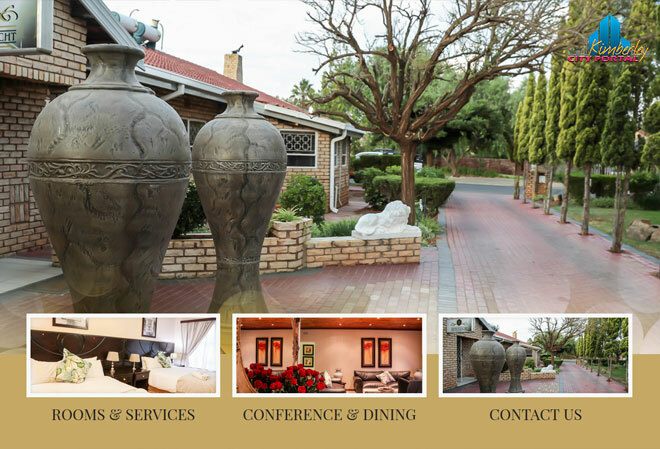 The guest house is situated in the exclusive suburb of Royldene in Kimberley, the capital of the Northern Cape. The guest house offers en-suite bedrooms with DStv, air-conditioning and bar fridges. We also offer Family Units with fully equipped kitchens, lounges, patios and private entrances. Guests have access to conferencing facilities and shuttle services. Kimberley is not only a historical town, but the Big Hole, a huge circular pit right in the middle of town, is a huge crater dug almost entirely with picks and shovels in an effort to reach diamonds in the olden days.